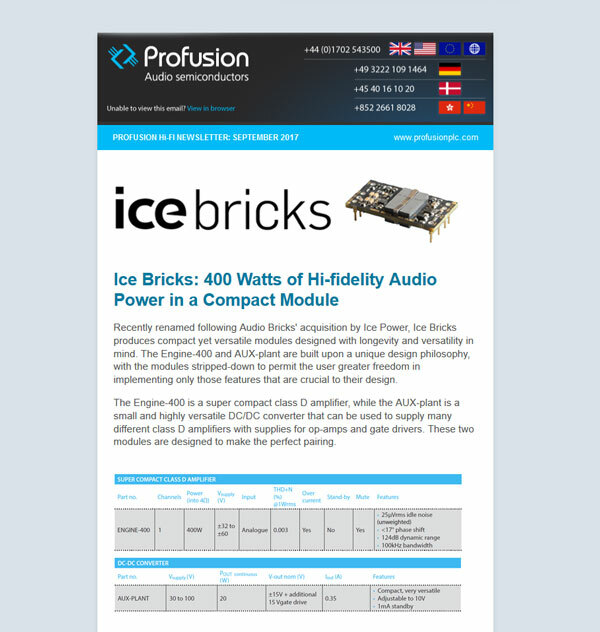 We pride ourselves on our regular Profusion newsletter, which features not only the latest product releases, industry news and company updates, but useful guides and features for audio designers and enthusiasts. If you'd like to sign up for our newsletter, please click on the link below and complete the brief Mailchimp form for future audio news and product updates. Your personal details will not be shared with anyone else, and we promise not to pester you with incessant or unrelated material. Due to the EU's new GDPR legislation now in effect, existing subscribers will need to resubscribe and give their consent (if they haven't recently done so).